Drones have become everybody’s toy. Anyone who’s into photography most likely owns a drone or two. And live events? Organizing one involves sending a drone to the sky to capture the whole event. With how it’s widely used now, it would probably come as a surprise that unmanned aircraft came to be for an entirely different reason. 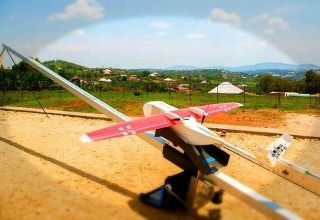 But while it is very true that drones were made to serve military purposes, those days are long gone and drones now have applications that redefined aviation. 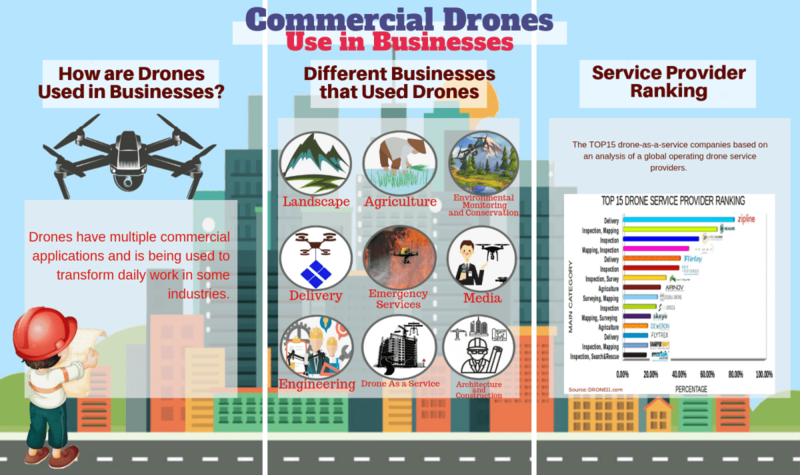 From photography to agriculture, here are the many ways the world is using drones for business. In filmmaking, angles matter. In action movies, for example, a scene where the protagonist runs through roofs would look lame if it were shot from the ground. To make the scene realer and to add to the thrill, shooting from above would be the best move. While before, these scenes were shot with the cameramen boarding a helicopter with their lenses out following the sprinting stuntman, now there’s a tool that does the job perfectly without risking someone’s safety: drones. The use of drones in making movies started not too long ago, yet now it has become an integral part of filmmaking. The movie Skyfall, for one, was one of the first films to take advantage of the rise of the drone industry. The action sequence in the movie’s opening scene was flawlessly captured by a technology created by Flying Cam. The scene drew attention, and it paved the way for an even wider use of drone in the filmmaking industry. Next thing we know, aerial cinematography has revolutionized movie making. What’s a list of drone uses without a mention of photography! 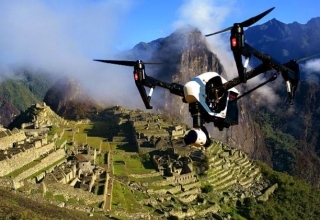 Undoubtedly the industry that uses drones the most, photography has entered a whole different world with the development of unmanned aerial vehicles. It’s worth noting, however, that aerial photography was already a thing even before drones were invented, but the first aerial photos were not taken by camera-carrying tools but by a man on a hot balloon seemingly at war with light. 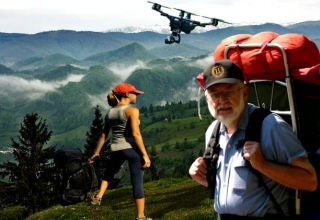 But now with the help of drones, the scenery we thought were impossible to capture and a dimension we believed we were never going to enter became a piece of reality. 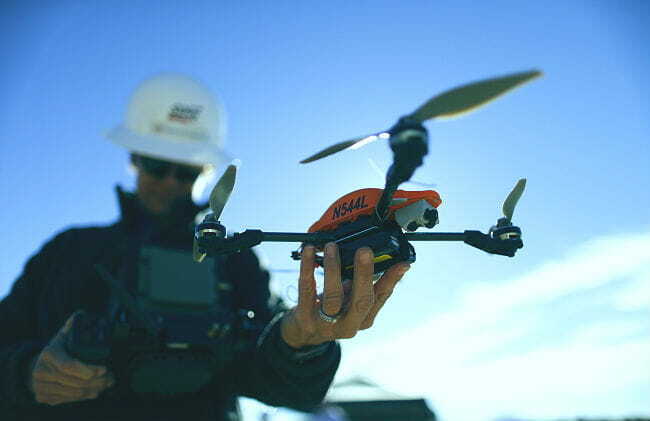 Now aerial photography has become an industry on its own. There are even contests where photographers submit their own drone photo of anything under the sun. Who would’ve thought that even in school drones would make an impact! 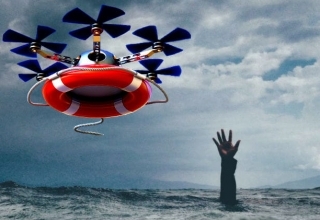 There are many ways drones are being used in teaching lessons. One, teachers use it to teach geography, mathematics, electronics, and even logic and deductive reasoning. It has been proven that the use of drones in classes has made classes more engaging. So it should not come as a surprise when these devices become a staple in the classroom. Agricultural drones have helped farmers in more ways than one. For one, it has helped increase crop production and has made monitoring crop growth way easier. 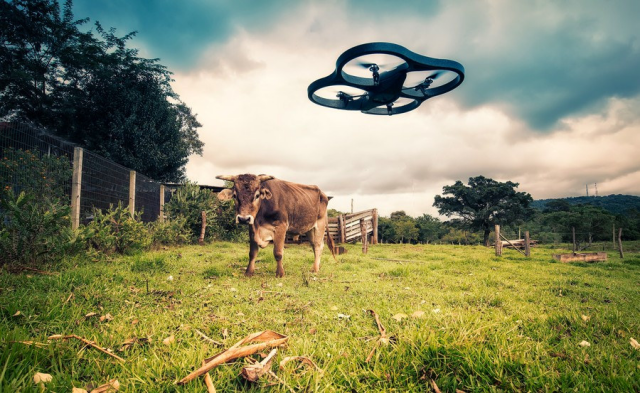 Many drone manufacturers have launched drones made especially for agricultural purposes. By having a tool that can give them a good view of the field from the sky, farmers can spot problems easily, including irrigation issues and fungal infestations. This innovation has improve crop production in a lot of countries whose people have farming as their main source of livelihood. Media is just too powerful to ignore, and it is exactly for this reason that companies exploit this product of technology. 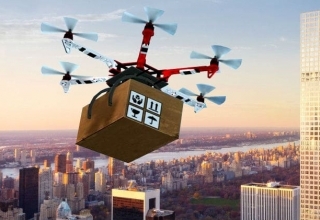 Using drones for business is too apparent in the field of marketing, especially in real estate. A lot of companies use drone to take photos of their properties from above to give clients a good look at what they’re about to splurge money on. 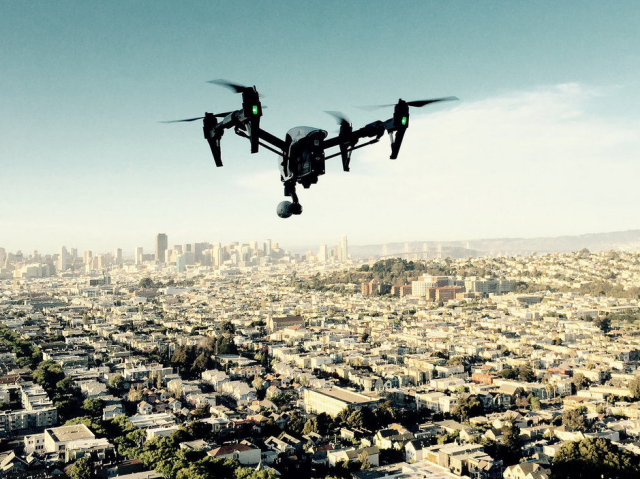 But it’s not only in real estate, drones have long been used to record videos that offer fresh and more immersive perspectives and present products in a way that is rather . . . interesting. Beverages company Coca-Cola even once used drone in one of their TV commercials. Drawing attention with the tagline “Happiness from the skies,” in the two-minute clip, Coke launched a fleet of drones to deliver soda from a local community to their workers who have to endure working far from their families just to do what they were expected to do. 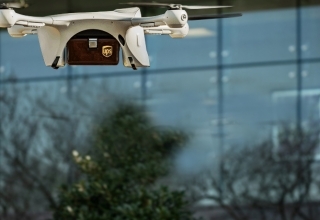 But it doesn’t stop with the Coca-Cola Company, big-name brands like Amazon Prime and Red Bull also used drones to promote their products and services. With drones, the possibilities are endless. Wherever you look, you get a glimpse of the reality the birth of drone technology has helped shape. It is only to be expected that the present and the near future would be even more exciting now that we have this new technology to help us view the world from a better angle.